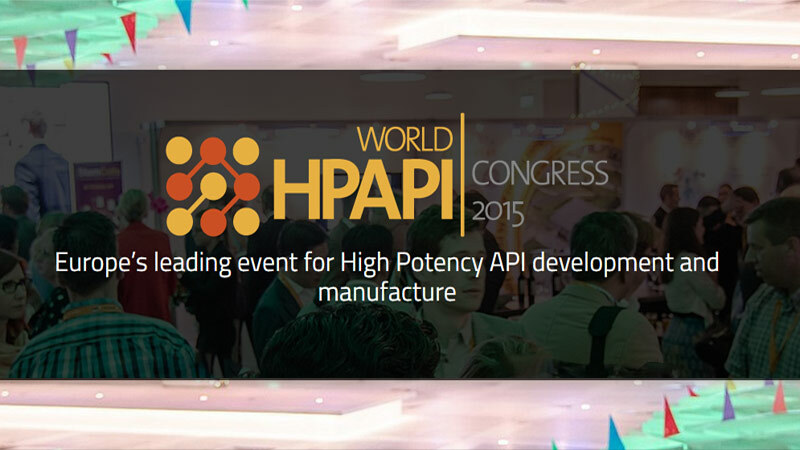 For the 2nd year running, HPAPI World Congress 2015 will bring together Big Pharma, CMOs, containment experts, EHS professionals and process engineers to discuss and debate the best ways to understand the potent hazard and communicate the risks, how then to translate this knowledge on the ground, options for outsourcing or in-house production, and finally the wider business considerations when involved with highly potent API manufacturing. Comecer will be waiting for you at Tabletop #21. Massimiliano Cesarini, our Global Sales Manager Isolation Technology Division, will take care of one hour presentation titled “HPAPI Processing: Issues, concerns, challenges and solutions”, located in Osaka Room, on the 2nd floor above the exhibition, from 11.45 till 12.45. Can isolation technology be the effective solution from the beginning to the end of manufacturing? Investigate different chemical exposure control methods to ensure you are putting your containment solutions to the best use: what kind of technology delivers what controls? Gain a better understanding of the different designs of containment systems on the market that could work for your manufacturing strategy.